AGING DISGRACEFULLY: Christmas Tree Day! What a couple of great girls I have here with me. How many other mothers could get their teenage daughters to actually volunteer to help you wash walls and windows? That's what they did yesterday and today. So, much, much earlier than I thought possible, I can cross powder room and kitchen off my cleaning list for Christmas. Only the dining room left. Perhaps they were just really eager to get the tree. Well, they were absolutely giddy about getting a Xmas tree. This is Lena's first time being part of the process and it's Nagisa first ever real Xmas tree. "So big!" she said about our 5 ft tree. And what fun we had picking out a tree. 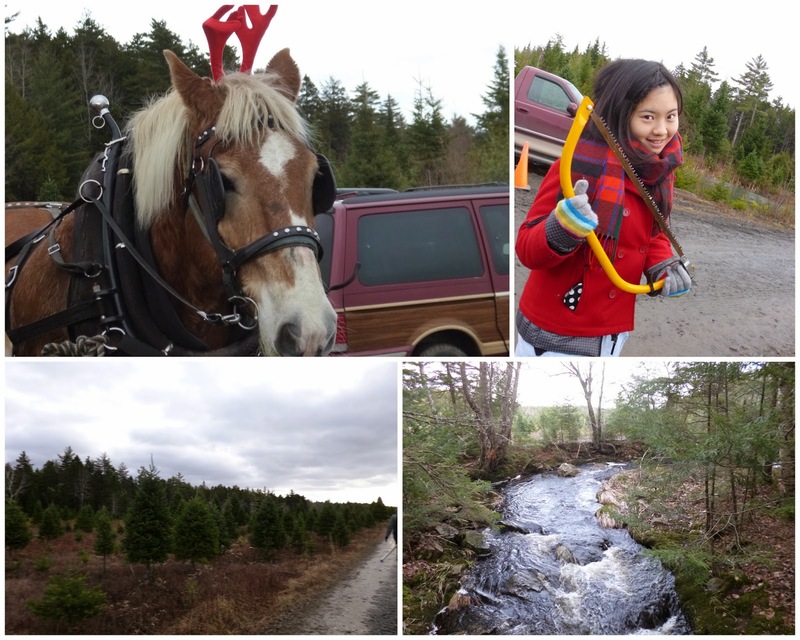 We went to a local U-pick where you choose and cut your own, tag it, then you walk to the cabin, pick up some hot chocolate and a cookie and sit on hay bales around a blazing log fire, cocooned by a circle of wee, decorated Xmas trees. It was so pretty. The tree is home and up but we were all too pooped to decorate. 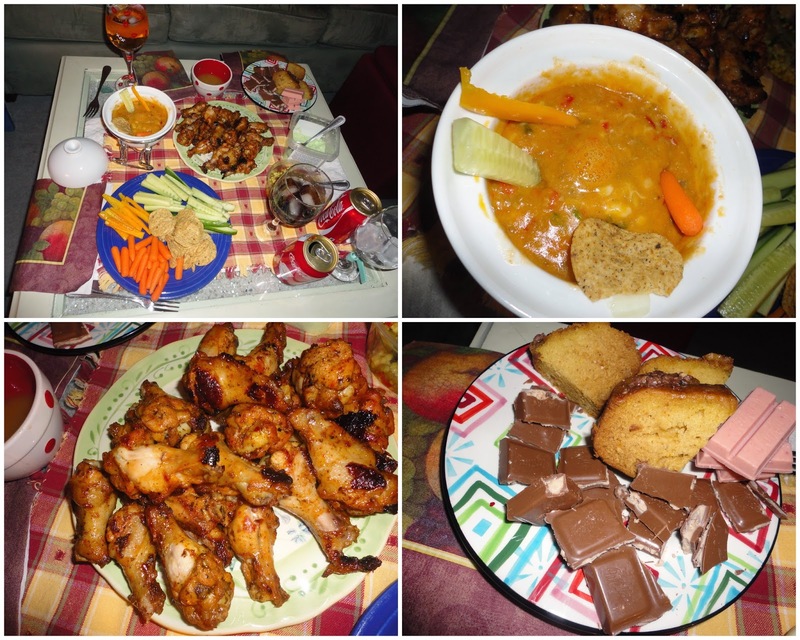 Instead, we prepared a delicious picnic supper and lay around the TV watching "Home Alone". Cheesy nacho dip and Jalapeno/Mango wings (so spicy!) from M&M's Meat Shop, veggies, orange cake, strawberry Kit-Kat (from Japan) and Milka cookie bar (from Germany). My bed is calling. All that cleaning and fresh air has me tuckered out. Do you have your tree up yet? Picking out your own tree and cutting it down is special experience, indeed. That looks like a fun day. Mine is artifical and stays up year round. I haven't blogged or caught up with any blogs for such a long time. I've been missing out on so much. I always loved reading your blogs. Tonight I am going to bed early, and instead of a good book to read I am going to catch up on all your posts. I'd say you have every right to be tired out. Nice to have that wonderful help and a wonderful ending to the weekend. I can only imagine the heavenly smell of the fresh cut tree there at your house. I haven't had a real tree in years.